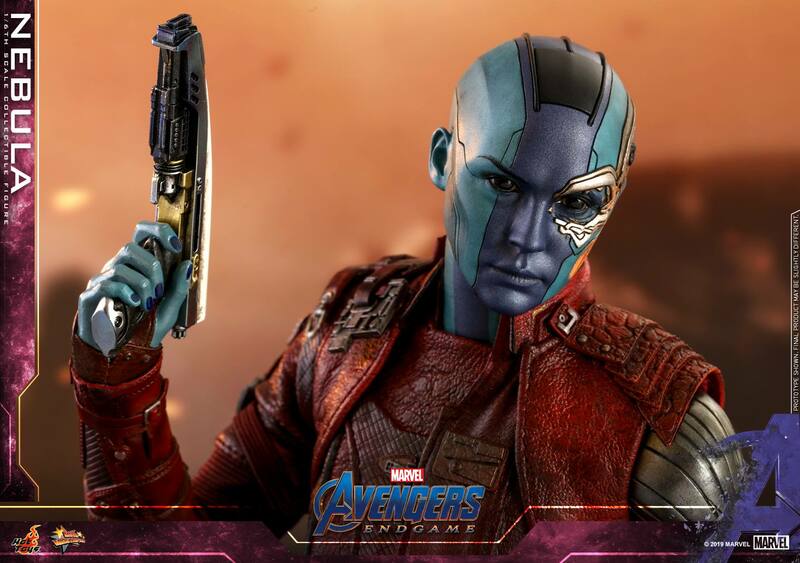 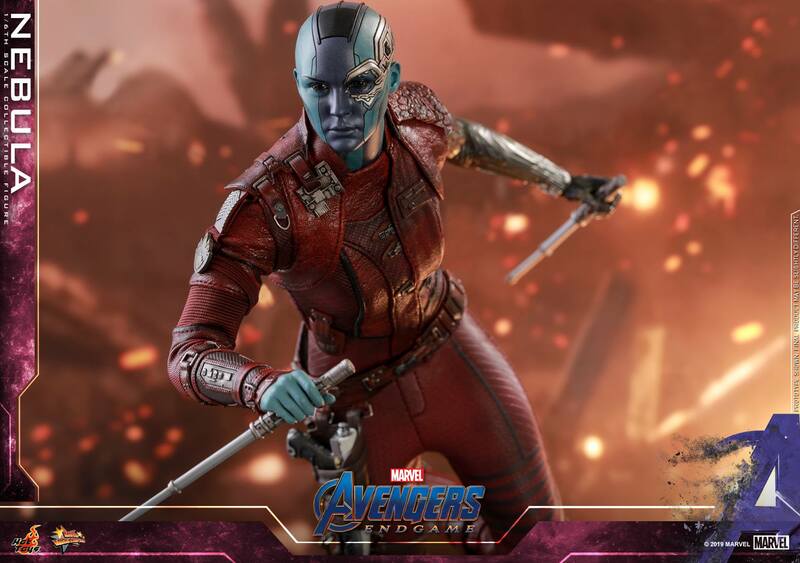 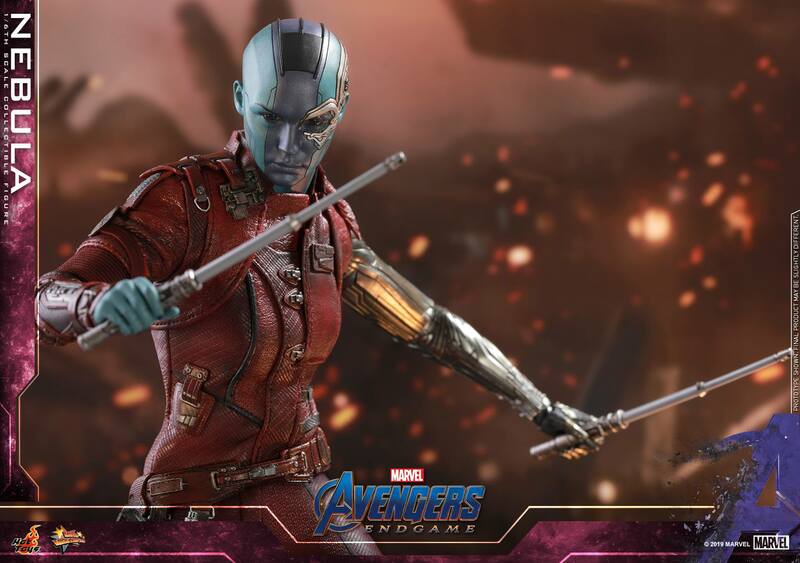 Hot Toys posted an update, revealing their new Nebula 1/6 Scale Figure from the upcoming Avengers: Endgame. 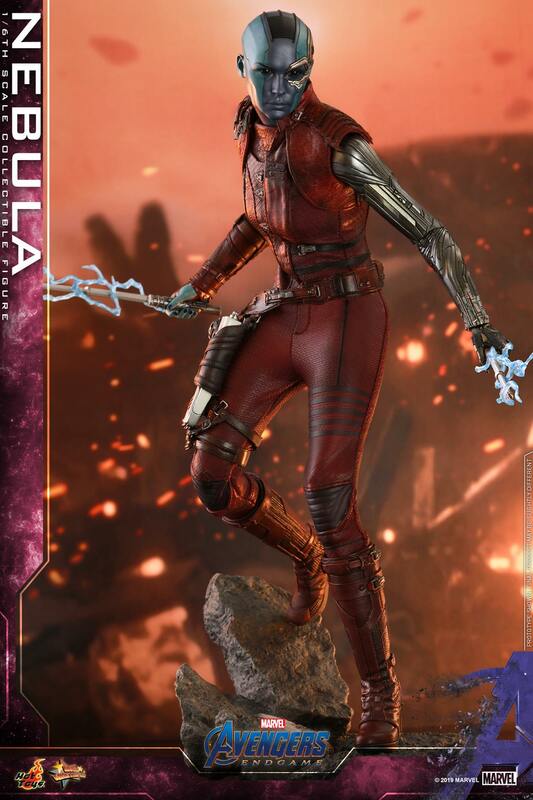 The figure stands over 11.5″ tall, with about 28 points of articulation. 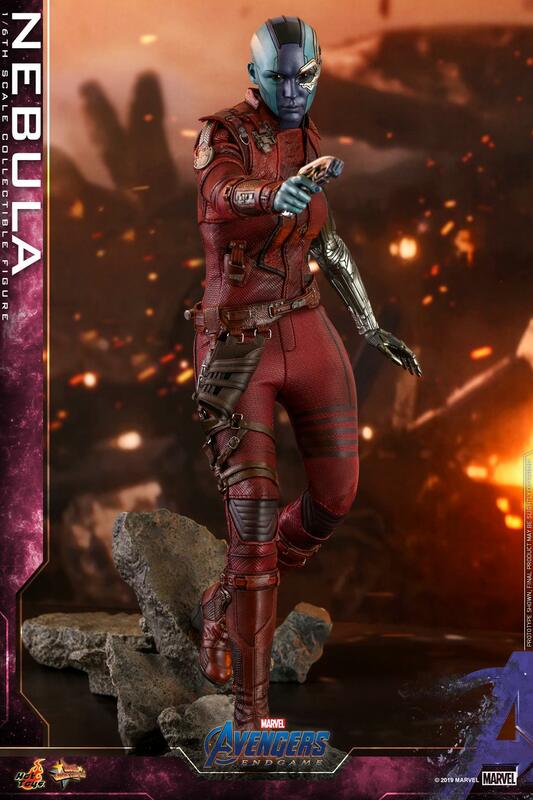 Nebula will include a total of 7 interchangeable hands. 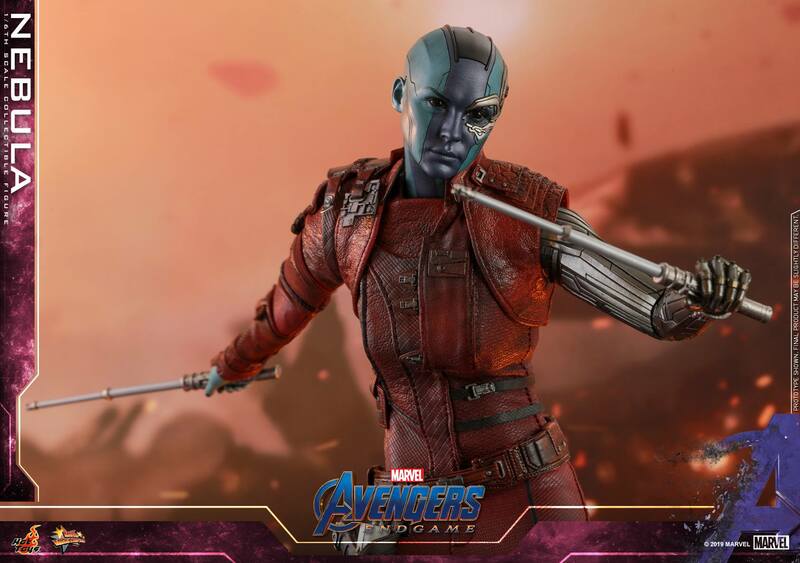 The figure also includes two batons, lightning effects pieces for the batons, a baton handle, a pistol, and a specialized figure stand. 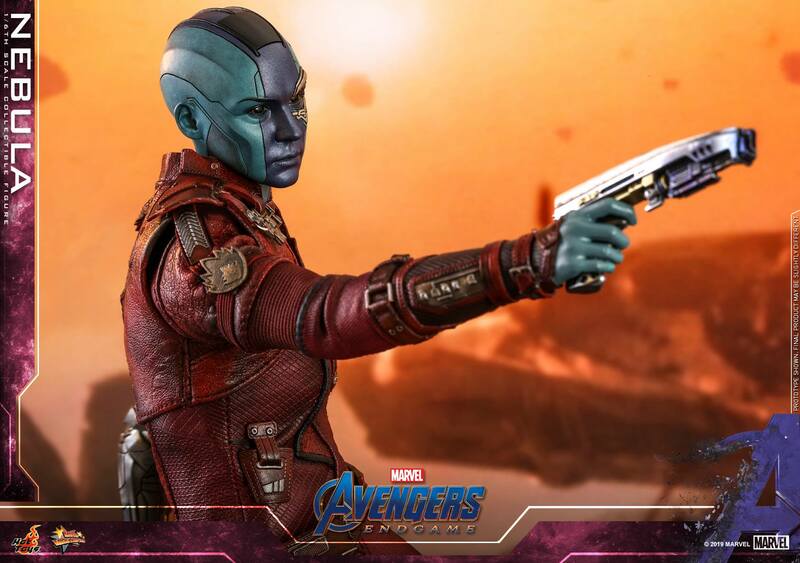 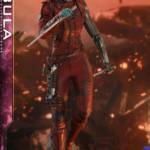 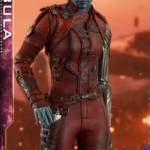 the Baton handle and the pistol can both be holstered on Nebula’s belt. 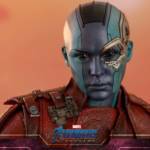 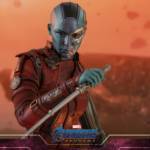 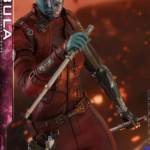 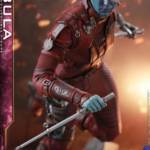 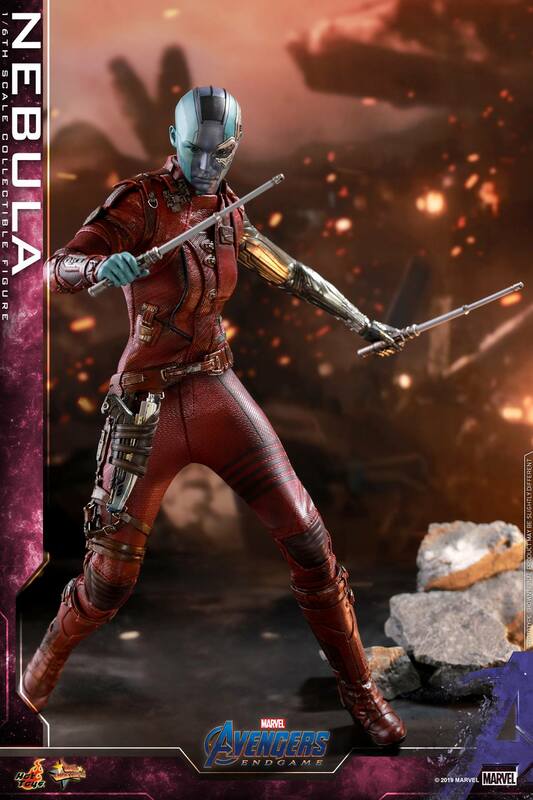 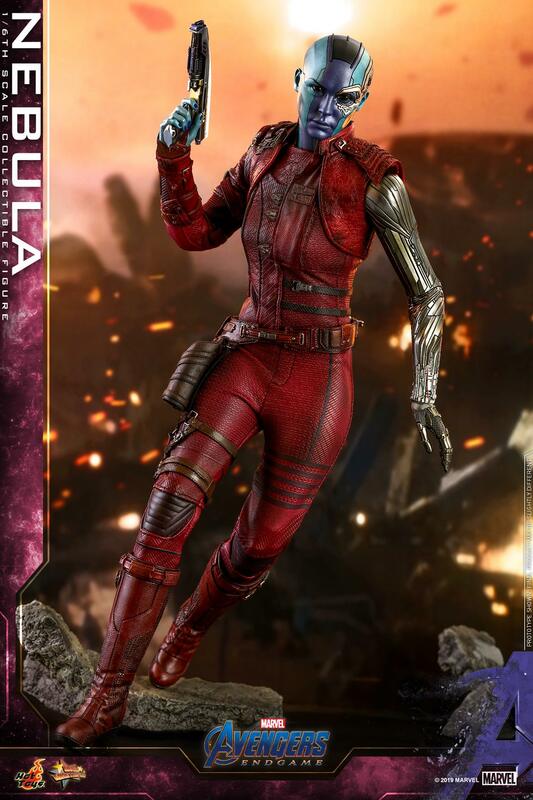 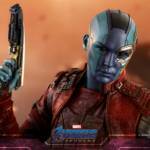 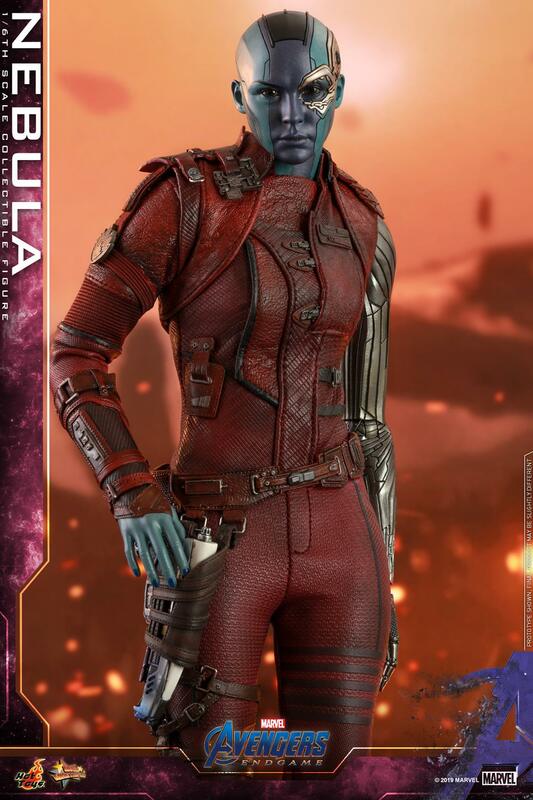 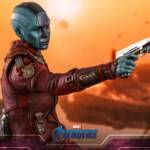 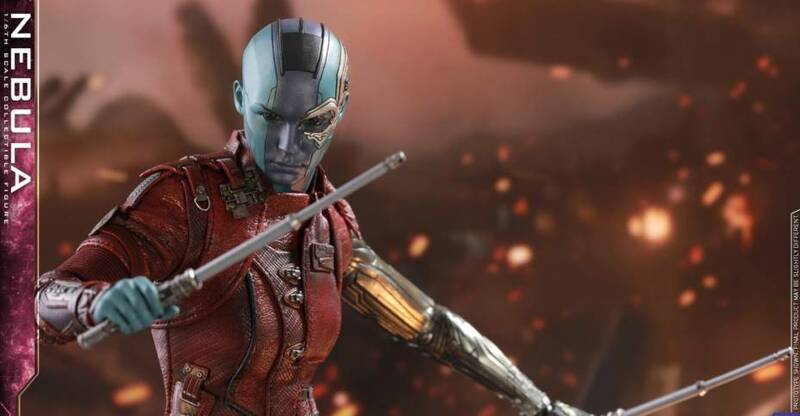 The Nebula Figure is scheduled for release between the second and third quarters of 2020. 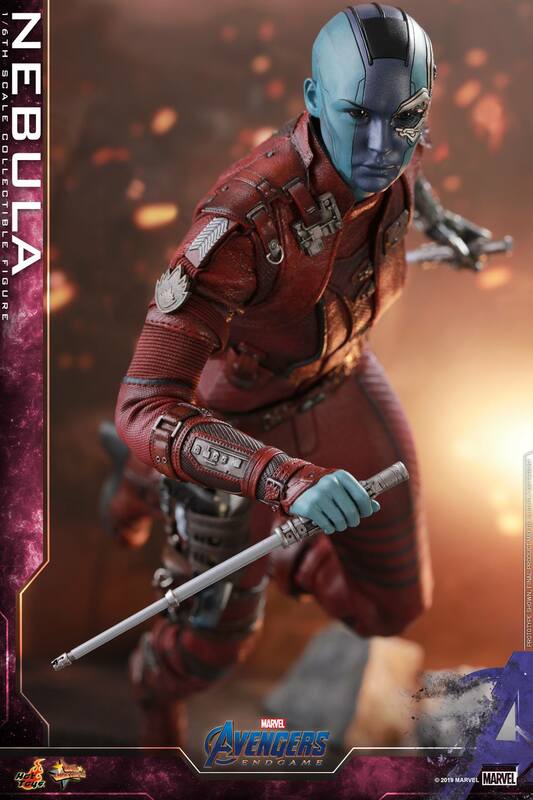 Pre-order should be going live soon. 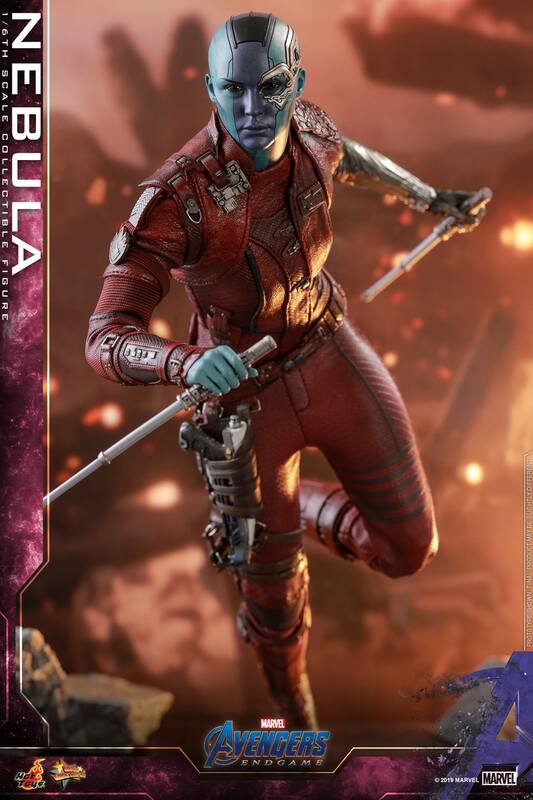 You can see the new photos and full details after the jump. 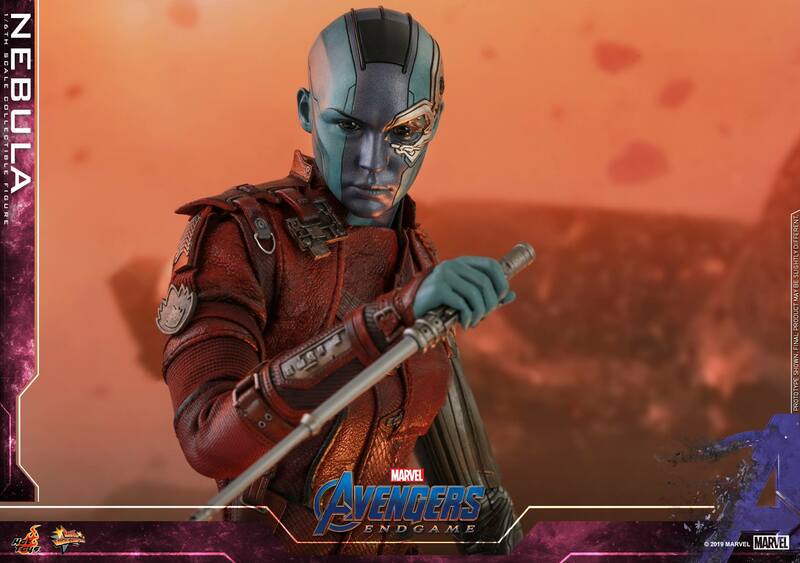 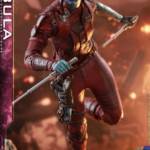 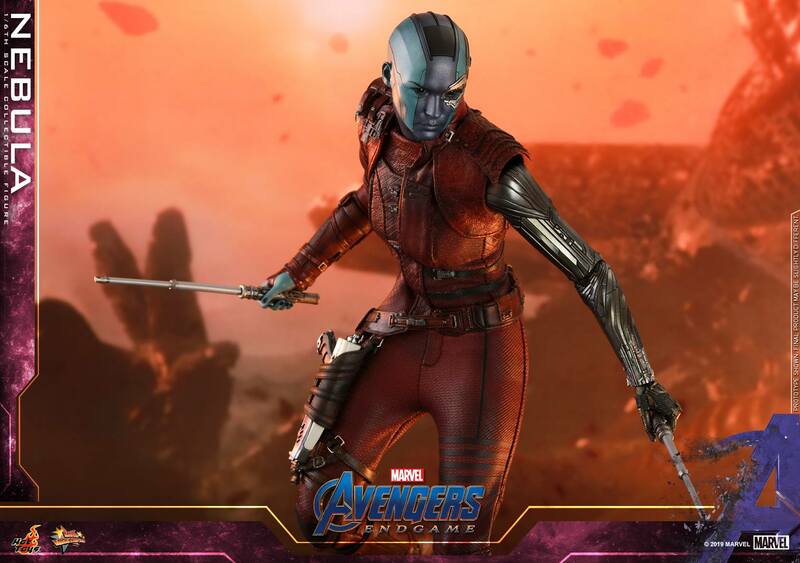 Longed for by many Marvel fans, Hot Toys is excited today to officially present Gamora’s adopted sister – Nebula in 1/6th scale collectible figure from the upcoming Avengers: Endgame. 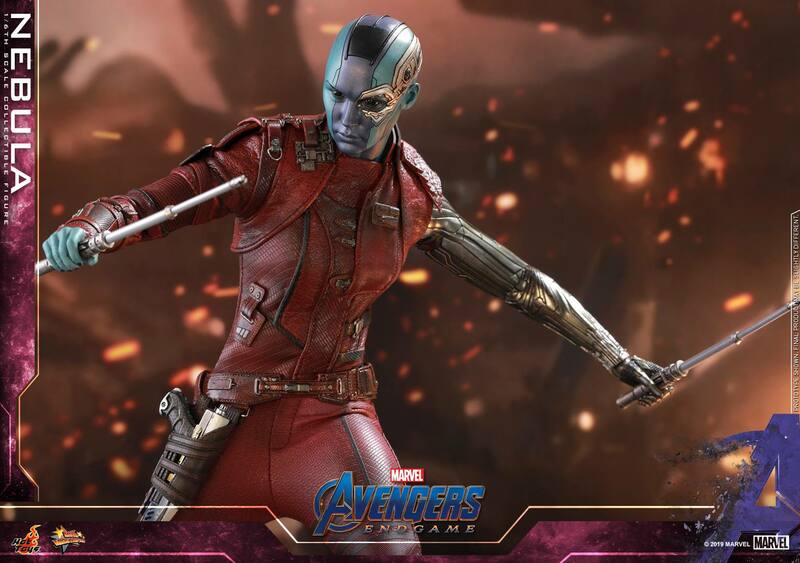 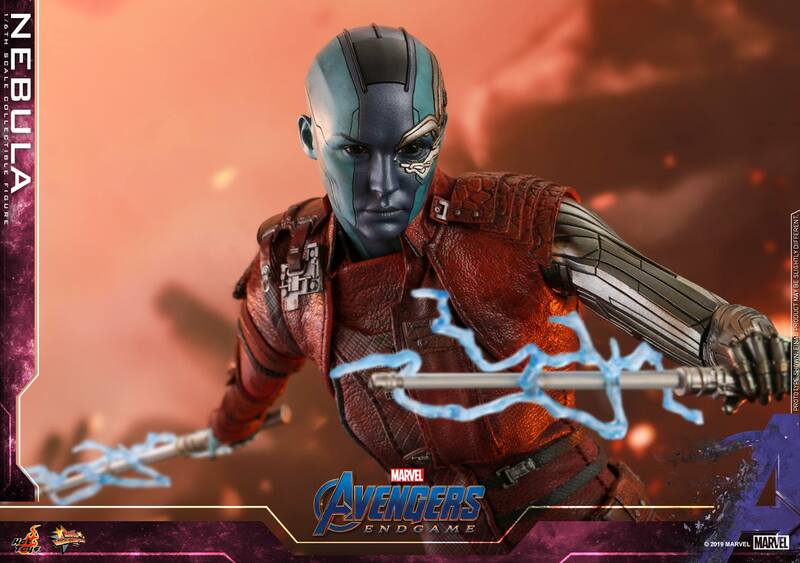 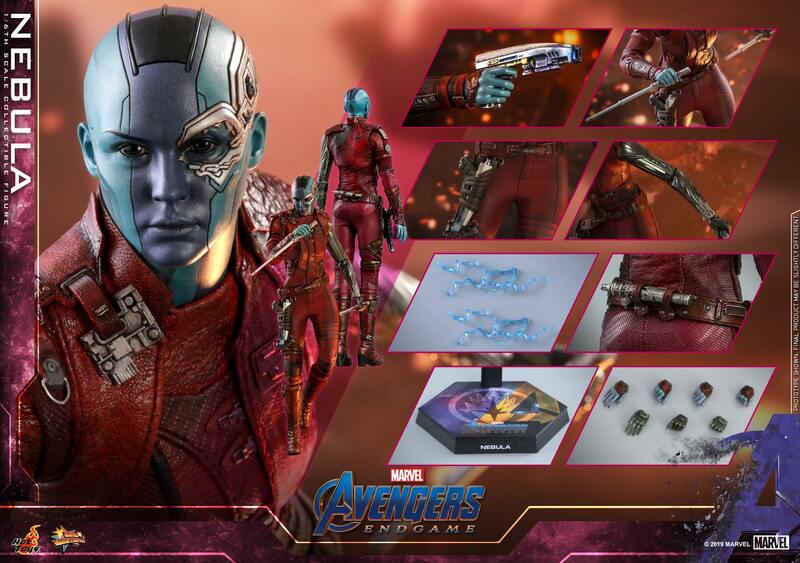 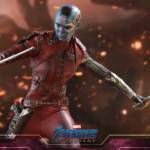 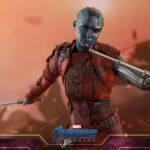 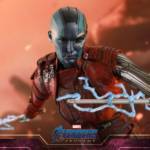 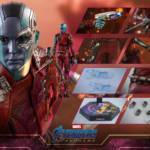 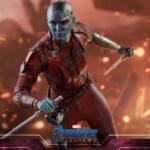 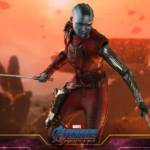 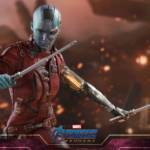 The figure is carefully crafted based on the image of Nebula in the movie with meticulous workmanship, featuring a newly developed head sculpt with prominent cybernetics details, a newly developed body highlights Nebula’s prosthetic arm revealing intricate mechanical parts, perfectly tailored Ravenger’s jumpsuit with fine textures, iconic weapons including blaster and batons, lightning effect accessories attachable to the batons, a movie themed figure stand and interchangeable graphic card. 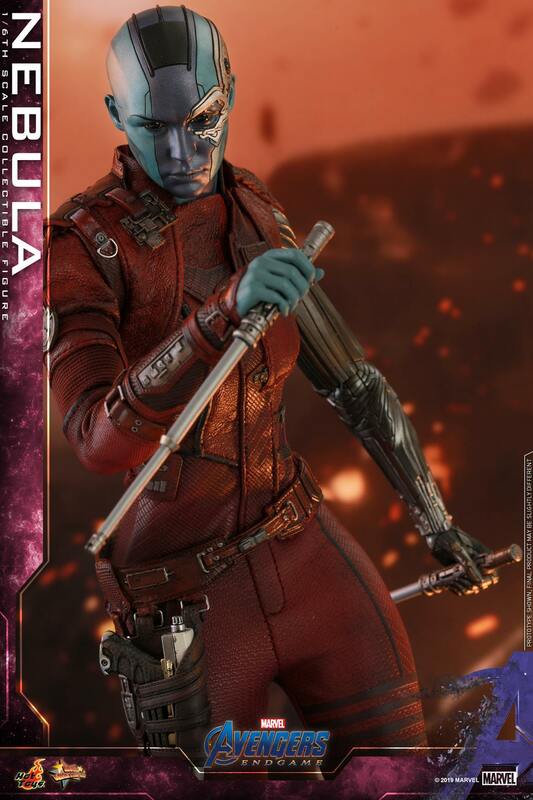 Cripes, now I need this to round out my Guardians team. 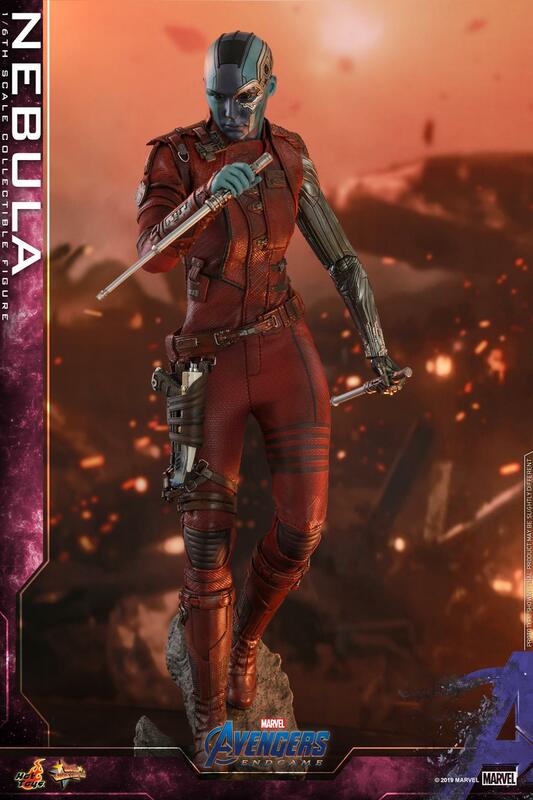 This does look rather nice! 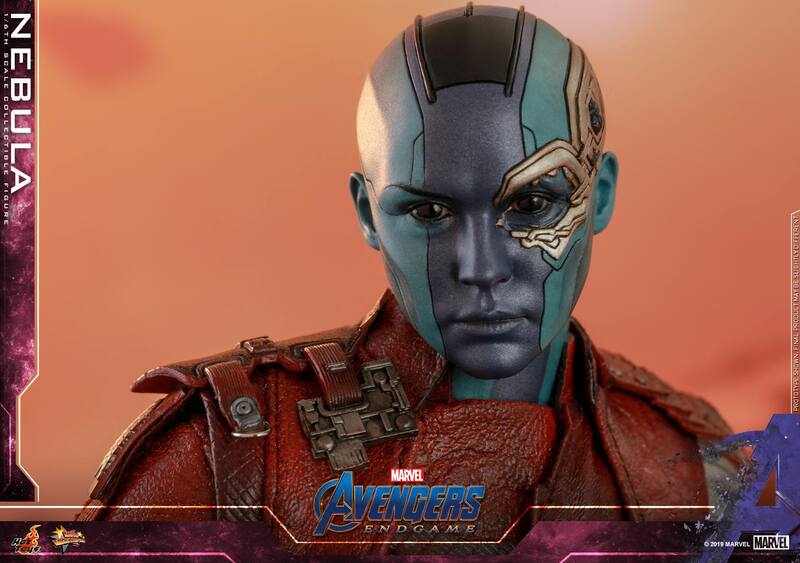 She looks great, but not having a full Guardians collection, I don't feel any need to pick her up.